Set includes 2 16 ounce glasses. Being a hitman is thirsty work. 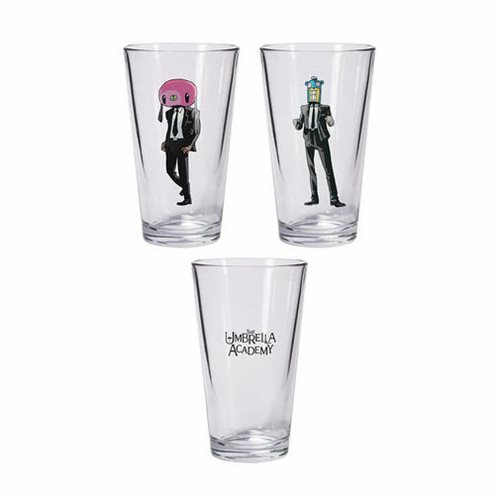 With this Umbrella Academy Hazel and Cha Cha Pint Glass Set, you and your partner in crime can relax and refresh after a long day on the job. Whether you choose to share a drink or keep it all to yourself, rest assured you can enjoy every last drop in style.